KAMPALA – Three journalists working for global media organization, the British Broadcasting Corporation (BBC) in Uganda and Vivian Nakaliika, the wife of NBS TV Solomon Sserwanjja are in Police custody. 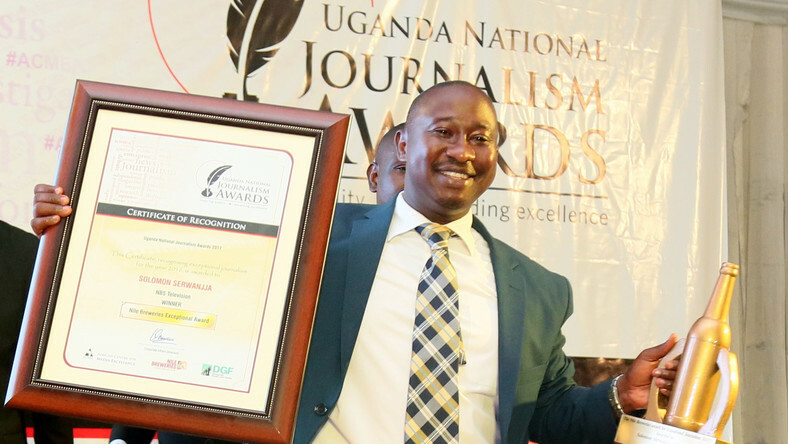 The journalists are Godfrey Badebe, Kasim Muhammad and Rashid Kaweesa. The website has learnt from reliable sources that security operatives are still searching for Sserwanjja. Robert Ssempala, the Chairman of the Human Rights Network for Journalist (HRNJ), broke the news of the arrest of the journalists saying “Last night security operatives surrounded the home of Solomon Sserwanja, a journalist with NBS TV. He confirmed that they are being detained at the CPS in Kampala. URN, a local news agency has reported that the three journalists were picked up from different areas in Kampala last night by operatives from the Internal Security Organisation-ISO. A reliable source in the security circles told us that the four are accused of working with wrong elements from foreign entities. They are said to have bought drugs worth Shillings 5 million from government health facilities and were scheduled to buy from Kiruddu Hospital. A source privy to the operation, says some of the drugs were found in Sserwajja’s home, which explains the arrest of his wife. Vivian Nakaliika is a Communication Officer in Charge of Health Promotion and Behavioral Change in the Ministry of Health.